Consequently, the desire for order motivated the establishment of ethical standards to encourage acceptable personal behavior, contracts to encourage legal behavior, and courts to sort things out when a final authority is required. When it comes to ethical behavior, professionals have lots of help. Attorneys, CPAs, doctors, architects, investment professionals, etc., have established and published very specific ethical and professional standards, plus monitoring organizations complete with sanctioning authority. Indeed, part of their education and certification requires knowledge of that profession’s ethical standards and practices. But when small business owners find themselves in the gray area with a customer or other business relationship, there is no sanctioning entity we can call on for guidance. We’re on our own; because The Universal Code of Small Business Professional Conduct and Ethics doesn’t exist. Having now been in the marketplace in six different decades, I’m pleased to report that the moral compass, sense of fair play, and inclination to deal in good faith on Main Street is exemplary. Small business owners consistently demonstrate that life is much simpler – and more rewarding – when they just do the right thing. No doubt they regularly turn to ancient codes for behavioral guidance, including the Golden Rule and the 8th and 9th Commandments. In addition to these, allow me to recommend three other principles which come in handy when you find yourself in the gray area, perched on the horns of an ethical dilemma. One is from an ancient philosopher, one from a 20th century Nobel Laureate, and one from a 21st century ethics thought leader. On Transparency: “The way to live with honor is to be in reality what you appear to be.” Socrates, 5th century B.C. On Integrity: “Integrity has no need of rules,” Albert Camus, from “The Myth of Sisyphus” (1942). 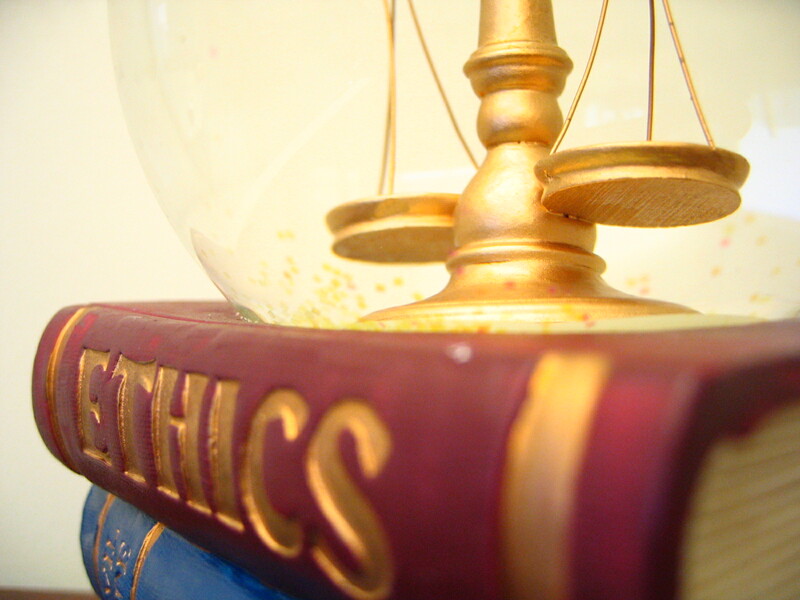 On Ethics: “Ethics is devotion to the unenforceable,” Len Marrella, author of In Search of Ethics (2005). Devotion to the unenforceable, thy name is small business. On my radio program, The Small Business Advocate Show, I’ve had many conversations with Len Marrella, founder and president of the Center for Leadership and Ethics and author of In Search of Ethics – Conversations with Men and Women of Character. Click here to see them all and download or listen.